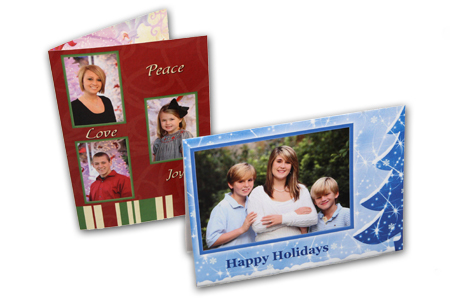 These cards make for great Christmas cards to send out to friends and family. Folded Cards come in packs of 12 in 4×5.5 and 5×7 sizes. Below is our wide variety of templates to choose from. We have a vertical and horizontal version of most of our templates. Cards available in Semi-Gloss, Linen, Matte, and Pearl paper.